HighTech x Agency is a new blog on innovative startups and ideas around the world, based in Dresden, Germany. It is curated by Angela Incampo & Ralf Lippold. Visit HighTech x Agency to read the first interviews for ”The new face of Greece” and ”Sophia High Tech”. Sailing Entrepreneurs is my brand new project in collaboration with the company Sail in Greek Waters. Our aim is to attract entrepreneurs from all around the world to sail in Greece for a good cause! Follow the official link of ”Sailing Entrepreneurs” below for more detailed info. Please share with your friends interested in Greece! Hellene.gr & Zorba The Entrepreneur are promoting the New Greece! 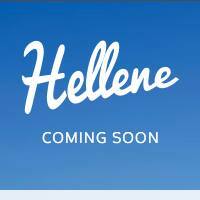 I am launching Hellene.gr with partners from Greece & USA to promote the New Greece to a global audience!